Jaundice is not a disease but rather a sign that can occur in many different diseases. Jaundice is the yellowish staining of the skin and sclerae (the whites of the eyes) that is caused by high levels in blood of the chemical bilirubin. The color of the skin and sclerae vary depending on the level of bilirubin. When the bilirubin level is mildly elevated, they are yellowish. When the bilirubin level is high, they tend to be brown. Bilirubin comes from red blood cells. When red blood cells get old, they are destroyed. Hemoglobin, the iron-containing chemical in red blood cells that carries oxygen, is released from the destroyed red blood cells after the iron it contains is removed. The chemical that remains in the blood after the iron is removed becomes bilirubin. The liver has many functions. One of the liver's functions is to produce and secrete bile into the intestines to help digest dietary fat. Another is to remove toxic chemicals or waste products from the blood, and bilirubin is a waste product. The liver removes bilirubin from the blood. After the bilirubin has entered the liver cells, the cells conjugate (attaching other chemicals, primarily glucuronic acid) to the bilirubin, and then secrete the bilirubin/glucuronic acid complex into bile. The complex that is secreted in bile is called conjugated bilirubin. The conjugated bilirubin is eliminated in the feces. (Bilirubin is what gives feces its brown color.) Conjugated bilirubin is distinguished from the bilirubin that is released from the red blood cells and not yet removed from the blood which is termed unconjugated bilirubin. Jaundice occurs when there is 1) too much bilirubin being produced for the liver to remove from the blood. (For example, patients with hemolytic anemia have an abnormally rapid rate of destruction of their red blood cells that releases large amounts of bilirubin into the blood), 2) a defect in the liver that prevents bilirubin from being removed from the blood, converted to bilirubin/glucuronic acid (conjugated) or secreted in bile, or 3) blockage of the bile ducts that decreases the flow of bile and bilirubin from the liver into the intestines. (For example, the bile ducts can be blocked by cancers, gallstones, or inflammation of the bile ducts). The decreased conjugation, secretion, or flow of bile that can result in jaundice is referred to as cholestasis: however, cholestasis does not always result in jaundice. What problems does jaundice cause? Jaundice or cholestasis, by themselves, causes few problems (except in the newborn, and jaundice in the newborn is different than most other types of jaundice, as discussed later.) Jaundice can turn the skin and sclerae yellow. In addition, stool can become light in color, even clay-colored because of the absence of bilirubin that normally gives stool its brown color. The urine may turn dark or brownish in color. This occurs when the bilirubin that is building up in the blood begins to be excreted from the body in the urine. Just as in feces, the bilirubin turns the urine brown. There are several uncommon conditions that give rise to over-production of bilirubin. The bilirubin in the blood in these conditions usually is only mildly elevated, and the resultant jaundice usually is mild and difficult to detect. These conditions include: 1) rapid destruction of red blood cells (referred to as hemolysis), 2) a defect in the formation of red blood cells that leads to the over-production of hemoglobin in the bone marrow (called ineffective erythropoiesis), or 3) absorption of large amounts of hemoglobin when there has been much bleeding into tissues (e.g., from hematomas, collections of blood in the tissues). Many drugs can cause jaundice and/or cholestasis. Some drugs can cause liver inflammation (hepatitis) similar to viral hepatitis. Other drugs can cause inflammation of the bile ducts, resulting in cholestasis and/or jaundice. Drugs also may interfere directly with the chemical processes within the cells of the liver and bile ducts that are responsible for the formation and secretion of bile to the intestine. As a result, the constituents of bile, including bilirubin, are retained in the body. The best example of a drug that causes this latter type of cholestasis and jaundice is estrogen. The primary treatment for jaundice caused by drugs is discontinuation of the drug. Almost always the bilirubin levels will return to normal within a few weeks, though in a few cases it may take several months. Cholestasis of pregnancy. Cholestasis of pregnancy is an uncommon condition that occurs in pregnant women during the third trimester. The cholestasis is often accompanied by itching but infrequently causes jaundice. The itching can be severe, but there is treatment (ursodeoxycholic acid or ursodiol). Pregnant women with cholestasis usually do well although they may be at greater risk for developing gallstones. More importantly, there appears to be an increased risk to the fetus for developmental abnormalities. Cholestasis of pregnancy is more common in certain groups, particularly in Scandinavia and Chile, and tends to occur with each additional pregnancy. There also is an association between cholestasis of pregnancy and cholestasis caused by oral estrogens, and it has been hypothesized that it is the increased estrogens during pregnancy that are responsible for the cholestasis of pregnancy. Pre-eclampsia. Pre-eclampsia, previously called toxemia of pregnancy, is a disease that occurs during the second half of pregnancy and involves several systems within the body, including the liver. It may result in high blood pressure, fluid retention, and damage to the kidneys as well as anemia and reduced numbers of platelets due to destruction of red blood cells and platelets. It often causes problems for the fetus. Although the bilirubin level in the blood is elevated in pre-eclampsia, it usually is mildly elevated, and jaundice is uncommon. Treatment of pre-eclampsia usually involves delivery of the fetus as soon as possible if the fetus is mature. Acute fatty liver of pregnancy. Acute fatty liver of pregnancy (AFLP) is a very serious complication of pregnancy of unclear cause that often is associated with pre-eclampsia. It occurs late in pregnancy and results in failure of the liver. It can almost always be reversed by immediate delivery of the fetus. There is an increased risk of infant death. Jaundice is common, but not always present in AFLP. Treatment usually involves delivery of the fetus as soon as possible. 3. Take juice fast for a week, and rest until the acute symptoms of the disease subside. After the juice fast, adopt an all-fruit diet for a further three to five days, taking three meals a day of fresh Juicy fruits at five-hourly intervals. We can also treat Jaundice using Natural home remedies.Jaut follow the link and here's your answer.Don't forget to comment!! A bee sting strictly means a sting from a bee (honey bee, bumblebee, sweat bee, etc). In the vernacular it can mean a sting of a bee, wasp, hornet, or yellow jacket. Some people may even call the bite of a horse-fly a bee sting. The stings of most of these species can be quite painful, and are therefore an object of dread for many people. 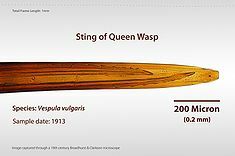 The most aggressive stinging insects are vespid wasps (including bald-faced hornets and other yellow jackets) but not hornets in general (e.g., the European hornet is gentle). All of these insects aggressively defend their nests. In people who are allergic to bee stings, a sting may trigger a dangerous anaphylactic reaction that is potentially deadly. Honey bee stings release pheromones that prompt other nearby bees to attack. 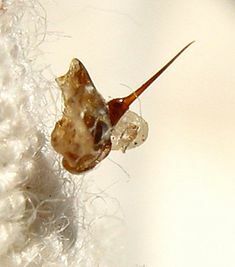 Although it is widely believed that a worker honey bee can sting only once, this is a partial misconception: although the stinger is in fact barbed so that it lodges in the victim's skin, tearing loose from the bee's abdomen and leading to its death in minutes, this only happens if the skin of the victim is sufficiently thick, such as a mammal's. The bee's sting is speculated to have evolved for inter-bee combat between members of different hives, and the barbs serve to improve penetration of the chitinous plates of another insect's exoskeleton. When bees sting elastic-skinned mammals, the barbs become a hazard to the bees as described above. Honey bees are the only hymenoptera with a strongly barbed sting, though yellow jackets and some other wasps have small barbs. The sting's injection of apitoxin into the victim is accompanied by the release of alarm pheromones, a process which is accelerated if the bee is fatally injured. Release of alarm pheromones near a hive or swarm may attract other bees to the location, where they will likewise exhibit defensive behaviors until there is no longer a threat, typically because the victim has either fled or been killed. (Note: A true swarm is not hostile; it has deserted its hive and has no comb or young to defend.) These pheromones do not dissipate or wash off quickly, and if their target enters water, bees will resume their attack as soon as it leaves the water. The larger drone bees do not have stings. In worker bees, the sting is a modified ovipositor. The queen bee has a smooth sting and can, if need be, sting skin-bearing creatures multiple times, but the queen does not leave the hive under normal conditions. Her sting is not for defense of the hive; she only uses it for dispatching rival queens, ideally before they can finish pupating. Queen breeders who handle multiple queens and have the queen odor on their hands are sometimes stung by a queen. The main component of bee venom responsible for pain in vertebrates is the toxin melittin; histamine and other biogenic amines may also contribute to pain and itching. In one of the medical uses of honey bee products, apitherapy, bee venom has been used to treat arthritis and other painful conditions. The sting consists of three parts: a stylus and two barbed slides (or lancets), one on either side of the stylus. The bee does not push the sting in but it is drawn in by the barbed slides. The slides move alternately up and down the stylus so when the barb of one slide has caught and retracts it pulls the stylus and the other barbed slide into the wound. When the other barb has caught it also retracts up the stylus pulling the sting further in. This process is repeated until the sting is fully in and even continues after the sting and its mechanism is detached from the bee's abdomen. When a honey bee stings a person, it cannot pull the barbed stinger back out. It leaves behind not only the stinger, but also part of its abdomen and digestive tract, plus muscles and nerves. This massive abdominal rupture is what kills the honey bee. Honey bees are the only species of bees to die after stinging. The first step in treatment following a bee sting is removal of the stinger itself. The stinger should be removed as fast as possible without regard to method: studies have shown the amount of venom delivered does not differ if the sting is pinched or scraped off and even a delay of a few seconds leads to more venom being injected. Once the stinger is removed, pain and swelling should be reduced with a cold compress. Many traditional remedies have been suggested for bee stings including damp pastes of tobacco, salt, baking soda, meat tenderizer, toothpaste, clay, garlic, urine, onions, aspirin or even application of copper coins. Bee venom is acidic as it contains the highly acidic peptide melittin, and these interventions are often recommended to neutralize the venom; however, neutralizing a sting is unlikely to be effective as the venom is injected under the skin and deep into the tissues, where a topically applied alkali is unable to reach, so neutralization is unlikely to occur. In any case, the amount of venom injected is typically very small (between 5 and 50 micrograms of fluid) and placing large amounts of alkali near the sting site is unlikely to produce a perfectly neutral pH to stop the pain. Many people do claim benefit from these home remedies but it is doubtful they have any real physical effect on how much a sting hurts or continues hurting. The effect is probably related to rubbing the area or the mind perceiving benefit. Furthermore, none of these interventions have been proven to be effective in scientific studies and a randomized trial of aspirin paste and topical ice packs showed that aspirin was not effective in reducing the duration of swelling or pain in bee and wasp stings, and significantly increased the duration of redness. The study concluded that ice alone is better treatment for bee and wasp stings than aspirin. The sting may be painful for a few hours. Swelling and itching may persist for a week. The area should not be scratched as it will only increase the itching and swelling. If a reaction persists for over a week or covers an area greater than 7-10 cm (3 or 4 inches), medical attention should be sought. Doctors often recommend a tetanus immunization. For about 2 percent of people, anaphylactic shock from certain proteins in the venom can be life-threatening and requires emergency treatment by a physician. If the victim is allergic to bee stings, the victim must be treated to prevent shock. People known to be highly allergic may carry around epinephrine in the form of a self-injectable EpiPen for the treatment of an anaphylactic shock.